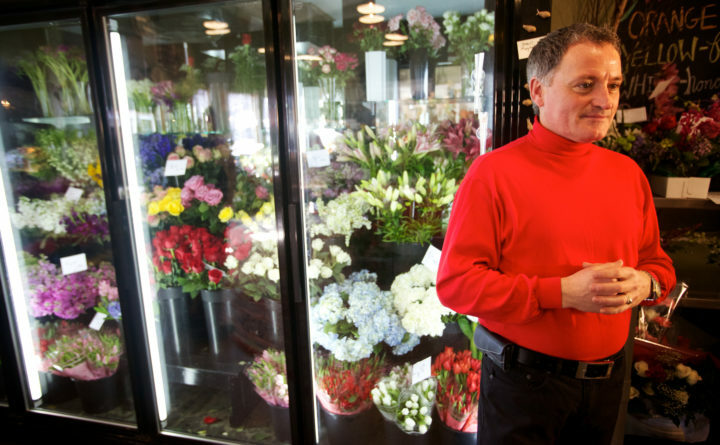 Dan Kennedy, owner of Sawyer & Company, a flower shop on Congress Street in Portland, purchased Minott’s Flowers with am SBA backed loan in this Feb. 14, 2013 file photo. Small business in Maine are among the least affected by the longest government shutdown in U.S. history, which is in its 25th day, according to a new report. Maine, along with Vermont, was one of the states least affected by the hold on processing Small Business Administration loans, according to a study by ValuePenguin.com, a LendingTree company. That includes SBA 7(a) loans, which are a key source of funding for small businesses across the country. With no SBA loans being processed, the backlog of companies waiting for SBA funding is growing and could take months to clear in the aftermath of the shutdown, according to the report. That could hurt small businesses for longer than expected. Small businesses most affected by the shutdown are in California, Texas and New York. ValuePenguin.com looked at the number of SBA 7(a) loans issued, the cumulative sum of the loans issued and the total number of jobs supported by 7(a) loans since 2010. Maine is among the states least affected by the shutdown because it has a small number of small businesses that rely on SBA loans. The total approved SBA 7(a) loans dating back to 2010 in Maine was 2,687, amounting to $545.76 million. The loans supported 26,137 jobs. Those figures put Maine at No. 41 nationwide in terms of being affected by the SBA shutdown. The most affected state, California, had 59,907 SBA 7(a) loans dating to 2010, amounting to $29.46 billion. Since 2010, the SBA has issued more than $177 billion in funding and approved 472,000 7(a) loans. The loans have led to the creation of more than 5 million jobs across the country, according to the report.